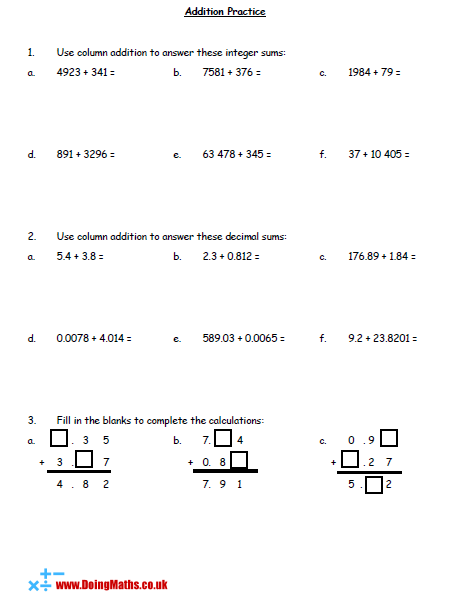 One of the earliest skills we learn in maths lessons, but something many keystage 3 and 4 pupils still need help with. 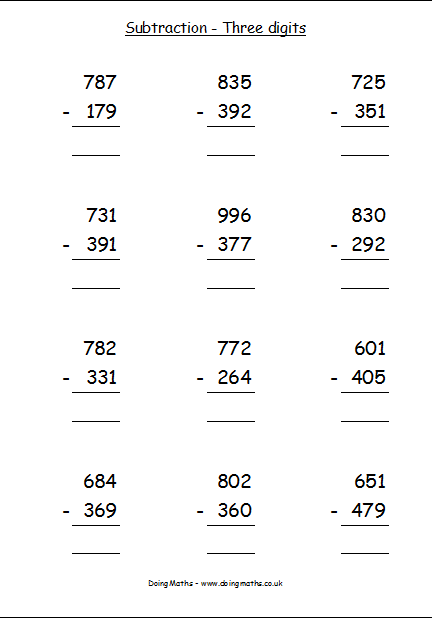 Here we have resources dealing with addition and subtraction of whole numbers, both positive and negative. Large numbers ready to print out and put on the floor in a number line. Ideal for practising addition and subtraction of negative numbers. Ready to print sheets each containing a large print city name and its temperature (some negative). Ideal for ordering numbers, or practising subtraction of negative numbers. 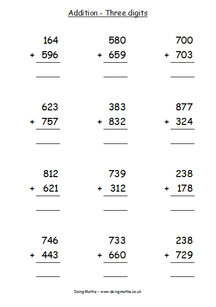 This Excel file will automatically generate an addition worksheet featuring two digit numbers. Great for a quick bit of column method practice. This Excel file will automatically generate an addition worksheet featuring three digit numbers. This Excel file will automatically generate a subtraction worksheet featuring three digit numbers. 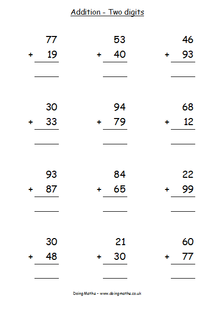 This worksheet provides further practice on addition using the column method. 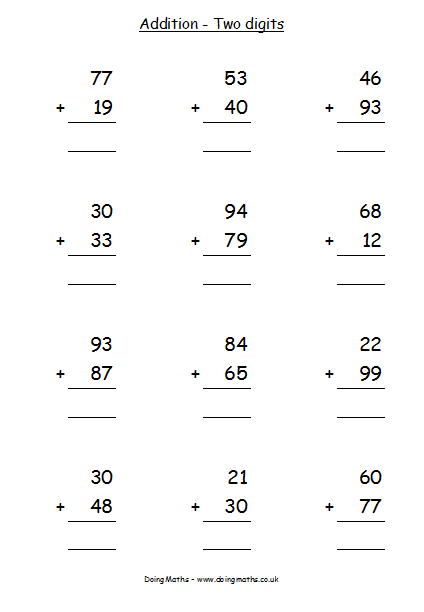 For this worksheet, the columns are not given, instead your students need to line up the correct columns themselves before they can complete the addition. 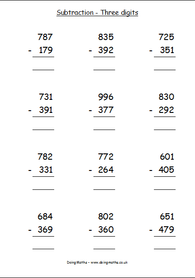 ​Decimal addition is also included. 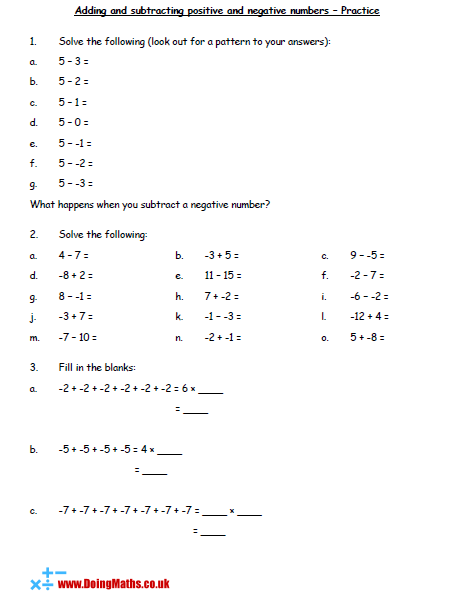 This worksheet is great practice for adding and subtracting both positive and negative numbers. 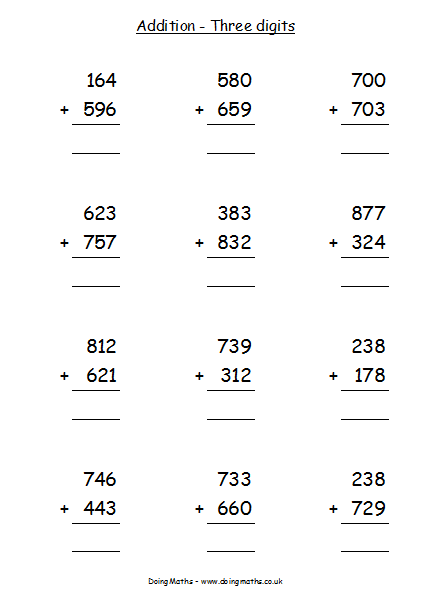 Some further practice on adding and subtracting positive and negative numbers, including a justification of what happens when you subtract a negative and a quick introduction to multiplying negatives by using repeat addition.